Mercedes-Benz of Ontario is excited to offer this 2019 Mercedes-Benz C-Class. This Mercedes-Benz includes: REAR SPOILER (PIO)Rear Spoiler BLIND SPOT ASSISTBlind Spot Monitor PREMIUM PACKAGEKeyless Start HD Radio Hands-Free Liftgate Satellite Radio Power Door Locks Keyless Entry Premium Sound System Power Liftgate Power Folding Mirrors Remote Trunk Release DARK BROWN LINDEN WOOD TRIMWoodgrain Interior Trim WHEEL LOCKING BOLTS (PIO)Wheel Locks WHEELS: 19 10-SPOKETires - Front All-Season Tires - Front Performance Aluminum Wheels Tires - Rear Performance Tires - Rear All-Season HEATED FRONT SEATSHeated Front Seat(s) *Note - For third party subscriptions or services, please contact the dealer for more information. * You appreciate the finer things in life, the vehicle you drive should not be the exception. Style, performance, sophistication is in a class of its own with this stunning Mercedes-Benz C-Class. This vehicle won't last long, take it home today.This is about the time when you're saying it is too good to be true, and let us be the one's to tell you, it is absolutely true. Contact Mercedes-Benz of Ontario today for information on dozens of vehicles like this 2019 Mercedes-Benz C-Class C 300. This Mercedes-Benz includes: REAR SPOILER (PIO)Rear Spoiler PREMIUM PACKAGEKeyless Start HD Radio Hands-Free Liftgate Satellite Radio Power Door Locks Keyless Entry Premium Sound System Power Liftgate Power Folding Mirrors Remote Trunk Release BLACK FABRIC HEADLINERDARK BROWN LINDEN WOOD TRIMWoodgrain Interior Trim WHEEL LOCKING BOLTS (PIO)Wheel Locks PRE-INSTALLATION FOR SD-CARD NAVIGATIONREAR CROSS TRAFFIC ALERT *PRICE TO FOLLOW*WHEELS: 19 10-SPOKETires - Front All-Season Tires - Front Performance Aluminum Wheels Tires - Rear Performance Tires - Rear All-Season HEATED FRONT SEATSHeated Front Seat(s) *Note - For third party subscriptions or services, please contact the dealer for more information. * You deserve a vehicle designed for higher expectations. This Mercedes-Benz C-Class delivers with a luxurious, well-appointed interior and world-class engineering. Beautiful color combination with Polar White exterior over SAHARA BEIGE MB-TEX interior making this the one to own!Just what you've been looking for. With quality in mind, this vehicle is the perfect addition to take home. This 2019 Mercedes-Benz C-Class C 300 is offered to you for sale by Mercedes-Benz of Ontario. This Mercedes-Benz includes: REAR SPOILER (PIO)Rear Spoiler PREMIUM PACKAGEKeyless Start HD Radio Hands-Free Liftgate Satellite Radio Power Door Locks Keyless Entry Premium Sound System Power Liftgate Power Folding Mirrors Remote Trunk Release DARK BROWN LINDEN WOOD TRIMWoodgrain Interior Trim PRE-INSTALLATION FOR SD-CARD NAVIGATIONWHEELS: 19 TWIN 5-SPOKETires - Front All-Season Tires - Front Performance Aluminum Wheels Tires - Rear Performance Tires - Rear All-Season INDUCTIVE WIRELESS CHARGINGHEATED FRONT SEATSHeated Front Seat(s) *Note - For third party subscriptions or services, please contact the dealer for more information. * You deserve a vehicle designed for higher expectations. This Mercedes-Benz C-Class delivers with a luxurious, well-appointed interior and world-class engineering. The Mercedes-Benz C-Class C 300 will provide you with everything you have always wanted in a car -- Quality, Reliability, and Character.This is about the time when you're saying it is too good to be true, and let us be the one's to tell you, it is absolutely true. 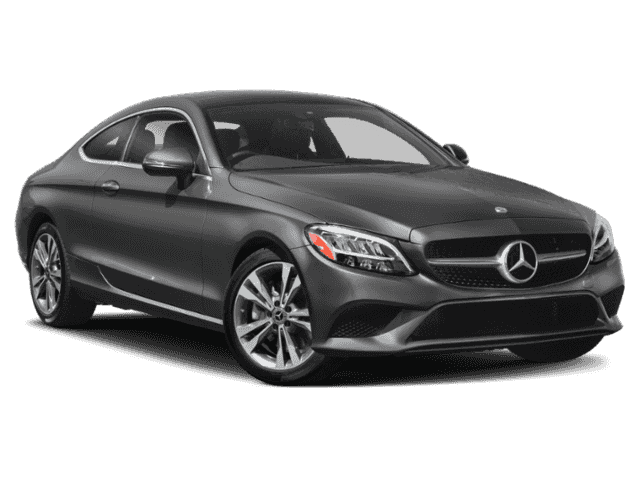 Contact Mercedes-Benz of Ontario today for information on dozens of vehicles like this 2019 Mercedes-Benz C-Class C 300. This Mercedes-Benz includes: REAR SPOILER (PIO)Rear Spoiler BLIND SPOT ASSISTBlind Spot Monitor PREMIUM PACKAGEKeyless Start HD Radio Hands-Free Liftgate Satellite Radio Power Door Locks Keyless Entry Premium Sound System Power Liftgate Power Folding Mirrors Remote Trunk Release WHEEL LOCKING BOLTS (PIO)Wheel Locks SD-CARD NAVIGATION PRE-WIRINGTELEPHONE PRE-WIRING/PORTABLE PHONEWHEELS: 19 10-SPOKETires - Front All-Season Tires - Front Performance Aluminum Wheels Tires - Rear Performance Tires - Rear All-Season INDUCTIVE WIRELESS CHARGINGHEATED FRONT SEATSHeated Front Seat(s) *Note - For third party subscriptions or services, please contact the dealer for more information. * Pull up in the vehicle and the valet will want to parked on the front row. This Mercedes-Benz C-Class is the vehicle others dream to own. Don't miss your chance to make it your new ride. The Mercedes-Benz C-Class C 300 will provide you with everything you have always wanted in a car -- Quality, Reliability, and Character.Look no further, you have found exactly what you've been looking for. This outstanding example of a 2019 Mercedes-Benz C-Class C 300 is offered by Mercedes-Benz of Ontario. This Mercedes-Benz includes: WHEELS: 19 AMG® MULTISPOKETires - Front All-Season Tires - Front Performance Aluminum Wheels Tires - Rear Performance Tires - Rear All-Season BLIND SPOT ASSISTBlind Spot Monitor PREMIUM PACKAGEKeyless Start HD Radio Hands-Free Liftgate Satellite Radio Power Door Locks Keyless Entry Premium Sound System Power Liftgate Power Folding Mirrors Remote Trunk Release AMG® LINEFloor Mats BRUSHED ALUMINUM DOOR TRIMWoodgrain Interior Trim WHEEL LOCKING BOLTS (PIO)Wheel Locks PRE-INSTALLATION FOR SD-CARD NAVIGATIONILLUMINATED STAR (PIO)REAR CROSS TRAFFIC ALERT *PRICE TO FOLLOW*64-COLOR AMBIENT LIGHTINGINDUCTIVE WIRELESS CHARGINGHEATED FRONT SEATSHeated Front Seat(s) *Note - For third party subscriptions or services, please contact the dealer for more information. * Pull up in the vehicle and the valet will want to parked on the front row. This Mercedes-Benz C-Class is the vehicle others dream to own. Don't miss your chance to make it your new ride. Beautiful color combination with Polar White exterior over BLACK MB-TEX interior making this the one to own!The Mercedes-Benz C-Class C 300 will provide you with everything you have always wanted in a car -- Quality, Reliability, and Character. 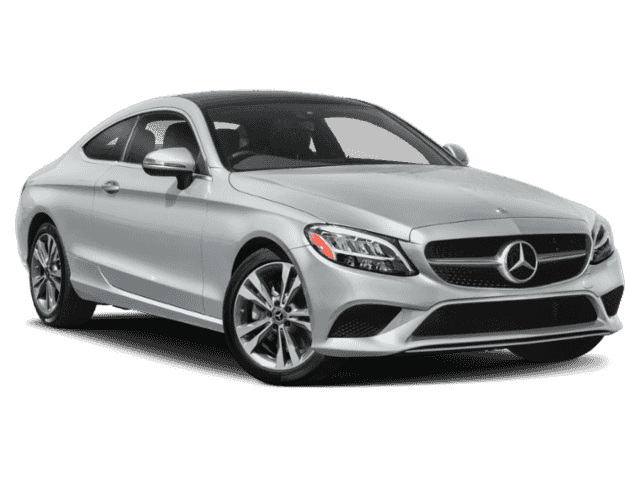 This 2019 Mercedes-Benz C-Class C 300 is offered to you for sale by Mercedes-Benz of Ontario. This Mercedes-Benz includes: REAR SPOILER (PIO)Rear Spoiler BLIND SPOT ASSISTBlind Spot Monitor PREMIUM PACKAGEKeyless Start HD Radio Hands-Free Liftgate Satellite Radio Power Door Locks Keyless Entry Premium Sound System Power Liftgate Power Folding Mirrors Remote Trunk Release AMG® LINEFloor Mats PRE-INSTALLATION FOR SD-CARD NAVIGATIONNIGHT PACKAGEINDUCTIVE WIRELESS CHARGINGHEATED FRONT SEATSHeated Front Seat(s) *Note - For third party subscriptions or services, please contact the dealer for more information. * You appreciate the finer things in life, the vehicle you drive should not be the exception. Style, performance, sophistication is in a class of its own with this stunning Mercedes-Benz C-Class. The look is unmistakably Mercedes-Benz, the smooth contours and cutting-edge technology of this Mercedes-Benz C-Class C 300 will definitely turn heads.You've found the one you've been looking for. Your dream car. Contact Mercedes-Benz of Ontario today for information on dozens of vehicles like this 2019 Mercedes-Benz C-Class C 300. This Mercedes-Benz includes: REAR SPOILER (PIO)Rear Spoiler NATURAL GRAIN BLACK ASH WOODWoodgrain Interior Trim BLIND SPOT ASSISTBlind Spot Monitor PREMIUM PACKAGEKeyless Start HD Radio Hands-Free Liftgate Satellite Radio Power Door Locks Keyless Entry Premium Sound System Power Liftgate Power Folding Mirrors Remote Trunk Release WHEELS: 19 AMG® TWIN 5-SPOKE W/BLACK ACCENTSTires - Front All-Season Tires - Front Performance Tires - Rear Performance Tires - Rear All-Season AMG® LINEFloor Mats ILLUMINATED DOOR SILL PANELSPRE-INSTALLATION FOR SD-CARD NAVIGATIONILLUMINATED STAR (PIO)NIGHT PACKAGE64-COLOR AMBIENT LIGHTINGINDUCTIVE WIRELESS CHARGINGHEATED FRONT SEATSHeated Front Seat(s) *Note - For third party subscriptions or services, please contact the dealer for more information. * You deserve a vehicle designed for higher expectations. This Mercedes-Benz C-Class delivers with a luxurious, well-appointed interior and world-class engineering. You can finally stop searching... You've found the one you've been looking for.There is no reason why you shouldn't buy this Mercedes-Benz C-Class C 300. It is incomparable for the price and quality. 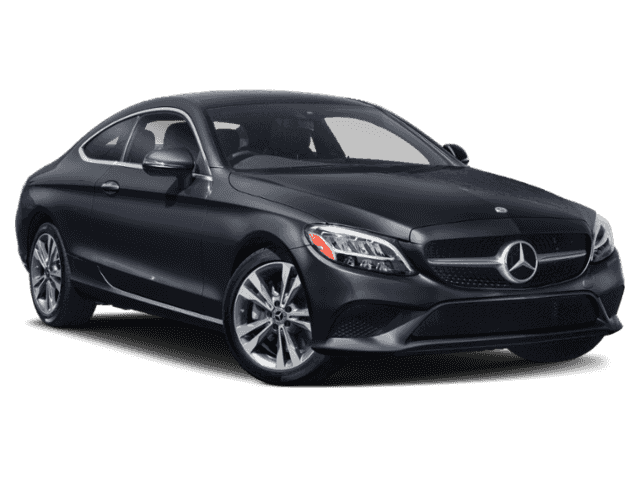 This 2019 Mercedes-Benz C-Class C 300 is offered to you for sale by Mercedes-Benz of Ontario. This Mercedes-Benz includes: REAR SPOILER (PIO)Rear Spoiler BLIND SPOT ASSISTBlind Spot Monitor PREMIUM PACKAGEKeyless Start HD Radio Hands-Free Liftgate Satellite Radio Power Door Locks Keyless Entry Premium Sound System Power Liftgate Power Folding Mirrors Remote Trunk Release WHEELS: 19 AMG® TWIN 5-SPOKE W/BLACK ACCENTSTires - Front All-Season Tires - Front Performance Tires - Rear Performance Tires - Rear All-Season AMG® LINEFloor Mats BRUSHED ALUMINUM DOOR TRIMWoodgrain Interior Trim ILLUMINATED DOOR SILL PANELSILLUMINATED STAR (PIO)NIGHT PACKAGE64-COLOR AMBIENT LIGHTINGINDUCTIVE WIRELESS CHARGING*Note - For third party subscriptions or services, please contact the dealer for more information. * You appreciate the finer things in life, the vehicle you drive should not be the exception. Style, performance, sophistication is in a class of its own with this stunning Mercedes-Benz C-Class. Beautiful color combination with Polar White exterior over BLACK MB-TEX interior making this the one to own!This is about the time when you're saying it is too good to be true, and let us be the one's to tell you, it is absolutely true. This 2019 Mercedes-Benz C-Class C 300 is proudly offered by Mercedes-Benz of Ontario This Mercedes-Benz includes: NATURAL GRAIN GREY OAK WOOD TRIMREAR SPOILER (PIO)Rear Spoiler BLIND SPOT ASSISTBlind Spot Monitor PREMIUM PACKAGEKeyless Start HD Radio Hands-Free Liftgate Satellite Radio Power Door Locks Keyless Entry Premium Sound System Power Liftgate Power Folding Mirrors Remote Trunk Release WHEELS: 19 AMG® TWIN 5-SPOKE W/BLACK ACCENTSTires - Front All-Season Tires - Front Performance Tires - Rear Performance Tires - Rear All-Season AMG® LINEFloor Mats BLACK FABRIC HEADLINERWHEEL LOCKING BOLTS (PIO)Wheel Locks ILLUMINATED DOOR SILL PANELSMAGMA GREY/BLACK, MB-TEX UPHOLSTERYPremium Synthetic Seats SD-CARD NAVIGATION PRE-WIRINGTELEPHONE PRE-WIRING/PORTABLE PHONE64-COLOR AMBIENT LIGHTINGINDUCTIVE WIRELESS CHARGINGHEATED FRONT SEATSHeated Front Seat(s) *Note - For third party subscriptions or services, please contact the dealer for more information. * Pull up in the vehicle and the valet will want to parked on the front row. This Mercedes-Benz C-Class is the vehicle others dream to own. Don't miss your chance to make it your new ride. This vehicle won't last long, take it home today.You could keep looking, but why? You've found the perfect vehicle right here. This 2019 Mercedes-Benz C-Class C 300 is proudly offered by Mercedes-Benz of Ontario This Mercedes-Benz includes: REAR SPOILER (PIO)Rear Spoiler PREMIUM PACKAGEKeyless Start HD Radio Hands-Free Liftgate Satellite Radio Power Door Locks Keyless Entry Premium Sound System Power Liftgate Power Folding Mirrors Remote Trunk Release AMG® LINEFloor Mats WHEEL LOCKING BOLTS (PIO)Wheel Locks ILLUMINATED DOOR SILL PANELSSD-CARD NAVIGATION PRE-WIRINGNIGHT PACKAGE64-COLOR AMBIENT LIGHTINGINDUCTIVE WIRELESS CHARGINGHEATED FRONT SEATSHeated Front Seat(s) *Note - For third party subscriptions or services, please contact the dealer for more information. * There's a level of quality and refinement in this Mercedes-Benz C-Class that you won't find in your average vehicle. The Mercedes-Benz C-Class C 300 will provide you with everything you have always wanted in a car -- Quality, Reliability, and Character.This is about the time when you're saying it is too good to be true, and let us be the one's to tell you, it is absolutely true. Contact Mercedes-Benz of Ontario today for information on dozens of vehicles like this 2019 Mercedes-Benz C-Class C 300. This Mercedes-Benz includes: REAR SPOILER (PIO)Rear Spoiler BLIND SPOT ASSISTBlind Spot Monitor PREMIUM PACKAGEKeyless Start HD Radio Hands-Free Liftgate Satellite Radio Power Door Locks Keyless Entry Premium Sound System Power Liftgate Power Folding Mirrors Remote Trunk Release WHEELS: 19 AMG® TWIN 5-SPOKE W/BLACK ACCENTSTires - Front All-Season Tires - Front Performance Tires - Rear Performance Tires - Rear All-Season AMG® LINEFloor Mats BRUSHED ALUMINUM DOOR TRIMWoodgrain Interior Trim ILLUMINATED DOOR SILL PANELSILLUMINATED STAR (PIO)NIGHT PACKAGE64-COLOR AMBIENT LIGHTINGINDUCTIVE WIRELESS CHARGINGHEATED FRONT SEATSHeated Front Seat(s) *Note - For third party subscriptions or services, please contact the dealer for more information. * You appreciate the finer things in life, the vehicle you drive should not be the exception. Style, performance, sophistication is in a class of its own with this stunning Mercedes-Benz C-Class. Just what you've been looking for. With quality in mind, this vehicle is the perfect addition to take home.You can finally stop searching... You've found the one you've been looking for. This 2019 Mercedes-Benz C-Class C 300 is proudly offered by Mercedes-Benz of Ontario This Mercedes-Benz includes: WHEELS: 19 AMG® MULTISPOKETires - Front All-Season Tires - Front Performance Aluminum Wheels Tires - Rear Performance Tires - Rear All-Season REAR SPOILER (PIO)Rear Spoiler BLIND SPOT ASSISTBlind Spot Monitor LEATHER SEATING PACKAGESeat Memory PREMIUM PACKAGEKeyless Start HD Radio Hands-Free Liftgate Satellite Radio Power Door Locks Keyless Entry Premium Sound System Power Liftgate Power Folding Mirrors Remote Trunk Release AMG® LINEFloor Mats WHEEL LOCKING BOLTS (PIO)Wheel Locks ILLUMINATED STAR (PIO)REAR CROSS TRAFFIC ALERT *PRICE TO FOLLOW*64-COLOR AMBIENT LIGHTINGINDUCTIVE WIRELESS CHARGINGHEATED FRONT SEATSHeated Front Seat(s) *Note - For third party subscriptions or services, please contact the dealer for more information. * You deserve a vehicle designed for higher expectations. This Mercedes-Benz C-Class delivers with a luxurious, well-appointed interior and world-class engineering. The Mercedes-Benz C-Class C 300 will provide you with everything you have always wanted in a car -- Quality, Reliability, and Character.You can finally stop searching... You've found the one you've been looking for. This 2019 Mercedes-Benz C-Class C 300 is proudly offered by Mercedes-Benz of Ontario This Mercedes-Benz includes: REAR SPOILER (PIO)Rear Spoiler NATURAL GRAIN BLACK ASH WOODWoodgrain Interior Trim LEATHER SEATING PACKAGESeat Memory PREMIUM PACKAGEKeyless Start HD Radio Hands-Free Liftgate Satellite Radio Power Door Locks Keyless Entry Premium Sound System Power Liftgate Power Folding Mirrors Remote Trunk Release WHEELS: 19 AMG® TWIN 5-SPOKE W/BLACK ACCENTSTires - Front All-Season Tires - Front Performance Tires - Rear Performance Tires - Rear All-Season AMG® LINEFloor Mats ILLUMINATED DOOR SILL PANELSNIGHT PACKAGE64-COLOR AMBIENT LIGHTINGHEATED FRONT SEATSHeated Front Seat(s) *Note - For third party subscriptions or services, please contact the dealer for more information. * There's a level of quality and refinement in this Mercedes-Benz C-Class that you won't find in your average vehicle. Beautiful color combination with Polar White exterior over CRANBERRY RED LEATHE interior making this the one to own!This is the one. Just what you've been looking for. This outstanding example of a 2019 Mercedes-Benz C-Class C 300 is offered by Mercedes-Benz of Ontario. This Mercedes-Benz includes: MULTIFUNCTION SPORT STEERING WHEELREAR SPOILER (PIO)Rear Spoiler NATURAL GRAIN BLACK ASH WOODWoodgrain Interior Trim LEATHER SEATING PACKAGESeat Memory PREMIUM PACKAGEKeyless Start HD Radio Hands-Free Liftgate Satellite Radio Power Door Locks Keyless Entry Premium Sound System Power Liftgate Power Folding Mirrors Remote Trunk Release WHEELS: 19 AMG® TWIN 5-SPOKE W/BLACK ACCENTSTires - Front All-Season Tires - Front Performance Tires - Rear Performance Tires - Rear All-Season ILLUMINATED DOOR SILL PANELSNIGHT PACKAGE64-COLOR AMBIENT LIGHTINGHEATED FRONT SEATSHeated Front Seat(s) *Note - For third party subscriptions or services, please contact the dealer for more information. * Pull up in the vehicle and the valet will want to parked on the front row. This Mercedes-Benz C-Class is the vehicle others dream to own. Don't miss your chance to make it your new ride. The Mercedes-Benz C-Class C 300 will provide you with everything you have always wanted in a car -- Quality, Reliability, and Character.Beautiful color combination with Black exterior over CRANBERRY RED LEATHE interior making this the one to own! Contact Mercedes-Benz of Ontario today for information on dozens of vehicles like this 2019 Mercedes-Benz C-Class C 300. This Mercedes-Benz includes: MULTIFUNCTION SPORT STEERING WHEEL *PRICE TO FOLLOW*PREMIUM PACKAGEKeyless Start HD Radio Hands-Free Liftgate Satellite Radio Power Door Locks Keyless Entry Premium Sound System Power Liftgate Power Folding Mirrors Remote Trunk Release WHEELS: 19 AMG® TWIN 5-SPOKE W/BLACK ACCENTSTires - Front All-Season Tires - Front Performance Tires - Rear Performance Tires - Rear All-Season AMG® LINEFloor Mats ILLUMINATED DOOR SILL PANELSMULTIMEDIA PACKAGENavigation System Hard Disk Drive Media Storage MP3 Player ILLUMINATED STAR (PIO)NIGHT PACKAGETELEPHONE PRE-WIRING/PORTABLE PHONE64-COLOR AMBIENT LIGHTINGINDUCTIVE WIRELESS CHARGINGHEATED FRONT SEATSHeated Front Seat(s) *Note - For third party subscriptions or services, please contact the dealer for more information. * You appreciate the finer things in life, the vehicle you drive should not be the exception. Style, performance, sophistication is in a class of its own with this stunning Mercedes-Benz C-Class. Beautiful color combination with Charcoal Leather exterior over BLACK MB-TEX interior making this the one to own!The Mercedes-Benz C-Class C 300 will provide you with everything you have always wanted in a car -- Quality, Reliability, and Character. You can find this 2019 Mercedes-Benz C-Class C 300 and many others like it at Mercedes-Benz of Ontario. This Mercedes-Benz includes: NATURAL GRAIN GREY OAK WOOD TRIMREAR SPOILER (PIO)Rear Spoiler PARKING ASSIST PACKAGEAutomatic Parking Back-Up Camera PREMIUM PACKAGEKeyless Start HD Radio Hands-Free Liftgate Satellite Radio Power Door Locks Keyless Entry Premium Sound System Power Liftgate Power Folding Mirrors Remote Trunk Release WHEELS: 19 AMG® TWIN 5-SPOKE W/BLACK ACCENTSTires - Front All-Season Tires - Front Performance Tires - Rear Performance Tires - Rear All-Season AMG® LINEFloor Mats 12.3 DIGITAL INSTRUMENT CLUSTERILLUMINATED DOOR SILL PANELSILLUMINATED STAR (PIO)NIGHT PACKAGE64-COLOR AMBIENT LIGHTING*Note - For third party subscriptions or services, please contact the dealer for more information. * Pull up in the vehicle and the valet will want to parked on the front row. This Mercedes-Benz C-Class is the vehicle others dream to own. Don't miss your chance to make it your new ride. You can finally stop searching... You've found the one you've been looking for.Just what you've been looking for. With quality in mind, this vehicle is the perfect addition to take home. 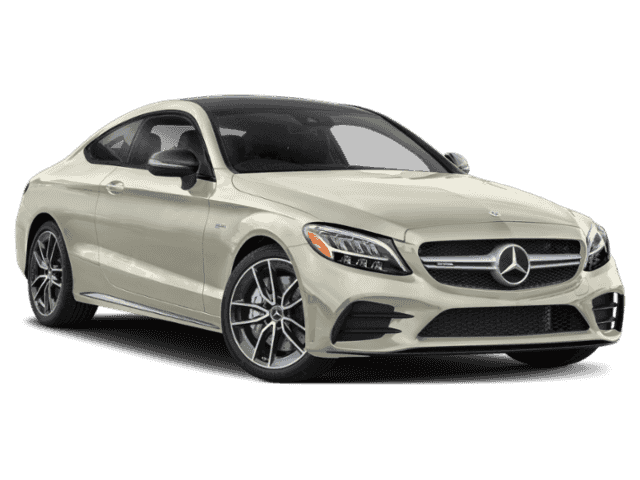 This 2019 Mercedes-Benz C-Class AMG® C 43 is offered to you for sale by Mercedes-Benz of Ontario. This Mercedes-Benz includes: ALUMINUM DOOR TRIMCONTROL CODECross-Traffic Alert POWER HEATED FRONT SEATS W/MEMORY (STD)Heated Front Seat(s) Bucket Seats CLASSIC RED SEAT BELTSBLIND SPOT ASSISTBlind Spot Monitor PRE-INSTALLATION FOR SD-CARD NAVIGATIONAMG® NIGHT PACKAGE*Note - For third party subscriptions or services, please contact the dealer for more information. * There's a level of quality and refinement in this Mercedes-Benz C-Class that you won't find in your average vehicle. When the Mercedes-Benz C-Class AMG® C 43 was created, it was automatically enhanced by having the performance ability of all wheel drive. Not only will you notice improved steering and superior acceleration, but you can also rest easy knowing that your vehicle comes standard with increased stability and safety. The Mercedes-Benz C-Class AMG® C 43 will provide you with everything you have always wanted in a car -- Quality, Reliability, and Character. This outstanding example of a 2019 Mercedes-Benz C-Class AMG® C 43 is offered by Mercedes-Benz of Ontario. This Mercedes-Benz includes: 64-COLOR AMBIENT LIGHTINGCONTROL CODECross-Traffic Alert POWER HEATED FRONT SEATS W/MEMORY (STD)Heated Front Seat(s) Bucket Seats NATURAL GRAIN GREY OAK TRIMWoodgrain Interior Trim BLIND SPOT ASSISTBlind Spot Monitor PRE-INSTALLATION FOR SD-CARD NAVIGATION*Note - For third party subscriptions or services, please contact the dealer for more information. * Pull up in the vehicle and the valet will want to parked on the front row. This Mercedes-Benz C-Class is the vehicle others dream to own. Don't miss your chance to make it your new ride. This Mercedes-Benz C-Class features AWD. That means power and control delivered to all four wheels for maximum grip and improved handling. The 2019 Mercedes-Benz exterior is finished in a breathtaking Graphite Grey, while being complemented by such a gorgeous BLK MBTEX/RED STITCH interior. This color combination is stunning and absolutely beautiful! This outstanding example of a 2019 Mercedes-Benz C-Class AMG® C 43 is offered by Mercedes-Benz of Ontario. This Mercedes-Benz includes: ILLUMINATED STAR (PIO)64-COLOR AMBIENT LIGHTINGINDUCTIVE WIRELESS CHARGINGPOWER HEATED FRONT SEATS W/MEMORY (STD)Heated Front Seat(s) Bucket Seats HEAD-UP DISPLAY W/AMG® SPECIFIC CONTENTHeads-Up Display BLIND SPOT ASSISTBlind Spot Monitor AMG® NIGHT PACKAGEAMG® PERFORMANCE STEERING WHEEL W/NAPPA INSERTSWHEELS: 19 MULTISPOKETires - Front All-Season Tires - Front Performance Aluminum Wheels Tires - Rear Performance Tires - Rear All-Season AMG® CARBON FIBER TRIM*Note - For third party subscriptions or services, please contact the dealer for more information. * You appreciate the finer things in life, the vehicle you drive should not be the exception. Style, performance, sophistication is in a class of its own with this stunning Mercedes-Benz C-Class. Enjoy safety and stability with this all-wheel drive vehicle and drive with confidence in any condition.